The Insight Center sat down with Shannon Hayes from Inquilinos Boricuas en Acción (IBA) to discuss best practices for promoting high attendance among early elementary school students. IBA runs a 5-week summer learning program in collaboration with Boston Public Schools and Boston After School & Beyond, serving 40 English Language Learners, entering 2nd and 3rd grades. Students explore “What is community?” through full-day, academic and enrichment programming. Their site is located at the Blackstone Innovation School in the South End of Boston. IBA’s students notched a 90% average student daily attendance rate in summer 2016. Thanks for taking the time to speak with us, Shannon. As one of 127 sites in the Boston Summer Learning Community in 2016, IBA had one of the best average student daily attendance rates among sites serving elementary students. As a starting point, tell us about how important student attendance is to your program outlook. Shannon Hayes (SH): Well, at a basic level, without having kids there, there can’t be a program. IBA uses a project based learning model, where kids explore the community. Structurally and fundamentally, contributions of each student are recognized and valued each day. If they miss days, students will be missing vital work and they may not be able to build as much skill over the summer. How do you emphasize the importance of student daily attendance to your staff? What role do they play in ensuring high average student daily attendance – both before and during program? SH: We try to recruit highly qualified staff from our [Boston Public School] feeder schools. Our teaching assistants tend to be from the community and have done the program before; therefore, they are invested in the program and the community. They have an understanding of the importance of attendance. During our training and planning sessions, we let our teachers and assistants know student attendance is integral, and we need to create a warm and welcoming environment so kids want to be there. Our teaching assistants in particular communicate with parents in native languages. This is extremely helpful, allowing them to connect with families and it increases the investment in the program for everyone. We’re finding that promoting student daily attendance starts in winter when students are recruited into program. Can you tell us how you support & encourage students and their families before program begins and as programming takes place? SH: We target English Language Learners. When we recruit, we reach out to schools to connect families to this program. Parents usually have relationships with teachers who are recommending them. As applications come in, we follow up with parents by phone plus host a parent orientation. At this orientation, students’ regular, mandatory attendance is emphasized and it’s communicated to parents that if they have long vacations, this program might not be a good fit. We do not offer transportation to students. So we make it a point to emphasize that students need to arrive on their own to the program every day. Overall, parents are receptive to this and it works in our favor to be upfront about both the attendance requirement and transportation. In your view, what relationship does safety and inclusiveness have to student attendance? How do you ensure students feel the program climate is safe, supportive, and engaging – and do you see that as related to attendance? SH: My personal number one priority is that students feel safe, and that adults care about them and what they think. I tell kids this and tell adults this. Our site’s essential question is, “What is community?” and we are trying to build community in the classroom. We start each day with an opening circle where students share something, and end each day with a closing circle where students reflect. We aim to intentionally build community and safety. By midway through the program, each staff member has picked several students to find out more about them and develop a deeper relationship. To make sure each kid has an adult that cares about them and is interested in them. Each adult checks in with their certain group, knows their interests and challenges. This is very effective and lets the students know they belong. How do you cater your program schedule/offerings to ensure high average student daily attendance? SH: We structure it so that kids are doing academics in beginning of the day and enrichment in the afternoon, and that structure is consistent every day. Once morning academics are complete, students have the expectation they’ll be able to apply that learning through exploration. They’ll be able to explore interests and at certain points enjoy field trips to community settings and ask questions. For this age of children, that’s not always something they get to do. What types of specific strategies do you implement before and during program that promote the value of the summer experience to students and their families? What concrete strategies do you implement (example: student incentives)? SH: Before the program begins, we have the connections between school administrators and families, and that is critical to explaining how the summer program will benefit the child. Leads to parent buy in. During the program, our frequent field trips to community settings and overall engaging activities highlight the value of the experience. Something new we did this year  was a treasure box incentive every Friday. So if a student attended every day that particular week, we’d let them walk up to a treasure box and pick out an item. The items were things like Play Doe, bookmarks, party favors, yo-yos, things like that. They received something tangible, but they also did this in front of their peers, so students would clap for each other and feel valued and highlighted for their attendance accomplishment. I think this helped our attendance rate. What role does family engagement play in maintaining high average daily attendance among students? SH: As mentioned earlier, our staff speak with parents and guardians in their native language, usually Spanish or Portuguese, so we make a point of giving parents regular updates – both for very positive things, and sometimes for needed improvements. At our parent orientation, we let parents know there will be a final celebration on the last day of program where parents can attend to see students showcase their work. It’s a potluck and it very much embodies our theme of community. Students get to perform and show their work – the parents are so excited; they are usually filming it on their phone. We let parents know this up front so they have the expectation of what their child will accomplish if they attend every day. Even with a successful student attendance rate in 2016, is there anything different your program will do next year to improve even further with student attendance? SH: The challenge for us is to target kids who can walk and/or get to program every day on their own. That’s priority for us in recruitment. We find the key is to be upfront with families. For example, some families developed a carpool system this past summer from various neighborhoods to get their children to the program and the orientation was critical to making those connections. Tell us about lessons you’ve learned over the years about student daily attendance and how those lessons inform your work today. SH: I think the big key is making sure students are engaged in the learning, letting them know the adults and their peers care about them. If students are making friends and enjoying themselves, they want to be there every day. I think a common misconception is that students don’t want to do academics in summer. We don’t think that’s the case. Students are interested in academics and enjoy learning, particularly experiential learning, and they like taking ownership of learning. If students own the work, can explore and apply learning, they want to be there and do “academic” work. What would you do differently for student attendance strategies if you served a different age group? This is a hypothetical question, but we’re finding that specific age groups have best practices customized to the needs/development stage of the child. SH: Sure. Well, one example would be that with middle school or high school students, we would give more autonomy. So incentives would be experiences or youth-directed activities. Things like bowling or access to different citywide experiences. Would give older students more ownership over what incentives are. Shannon Hayes started as a teacher in summer 2014 with IBA, and now serves as Coordinator of Afterschool and Summer Learning. In summer, she supervises seven staff members serving 40 students, and during afterschool, oversee two staff members serving 20 students at the Blackstone Innovation School. 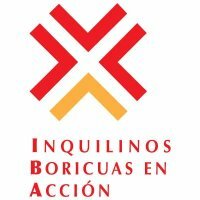 Inquilinos Boricuas en Acción is a non-profit organization and a dynamic community-building agency that started in the South End neighborhood of Boston, to address displacement of low-income families due to urban development. IBA offers affordable housing and supportive programming to improve the knowledge, life skills and health of participants of all ages.